In a culture that can’t think past the next 24-hour news cycle, religion still reads stories hundreds of centuries deep. The Abrahamic faiths worship a God who shows “steadfast love to the thousandth generation” (Exod 34:7). has a long horizon, to be fulfilled centuries later. “Your offspring shall be aliens in a land that is not theirs, and shall be slaves there, and they shall be oppressed for four hundred years…. And they shall come back here in the fourth generation” (Gen 15:13, 16). It’s odd that in the same speech God offers Abraham two different timelines. It’s not like God to be that forgetful, so biblical scholars usually chalk up this discrepancy to the Bible’s composite nature. We can take this strange speech as an opportunity to appreciate the Bible’s interest both in those we can imagine and those we can’t. 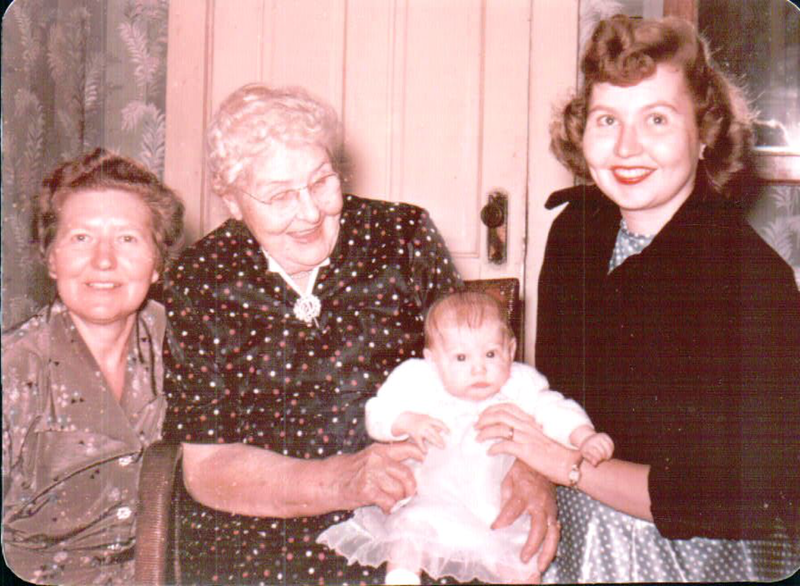 Me, with my mother, grandmother, and great-grandmother. Now I have a daughter and am expecting a granddaugher. Four generations are imaginable. If we remember our great-grandparents and expect to have great-grandchildren, our minds already span seven generations. It’s almost impossible to envision life four hundred years from now. Yet we look back to Abraham not four generations or four hundred years, but four thousand years. 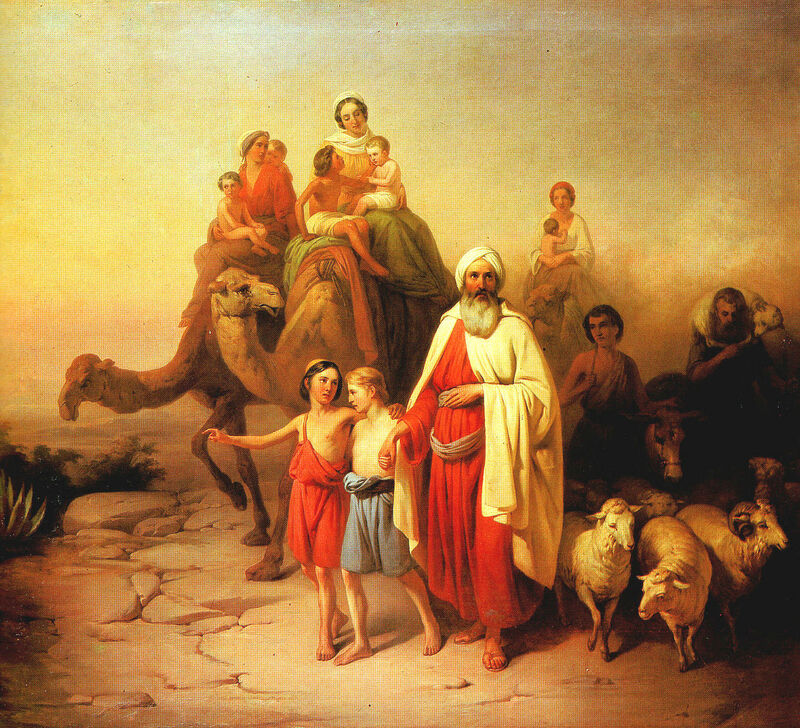 We look backward several millennia more clearly than Abraham could look forward even a few years. This is an irony about the past and future. On the one hand we can know the past, but we can no longer change it. No matter how much we wish, we can’t change what ancestors did to create the world we know today. Yet by contrast, we can’t know the future, but we affect it every day. Looking back at what we can’t change helps us see ourselves through future generations’ eyes. We hope our descendants will look back to us with gratitude. 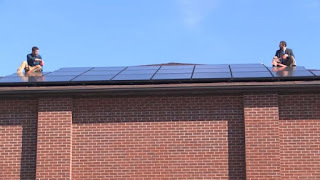 Yesterday our congregation, First Presbyterian Church of Jeffersonville, dedicated our first solar array: 48 panels, 12.96 kW of generating power. and for this church home which they will serve. in the name of God, the Father, Son and Holy Spirit. Then we sang (what else?) "This Little Light of Mine." Two Louisville television stations, WHAS and WAVE, were on hand. Here is WAVE’s story. And here is last night’s great report on WHAS. 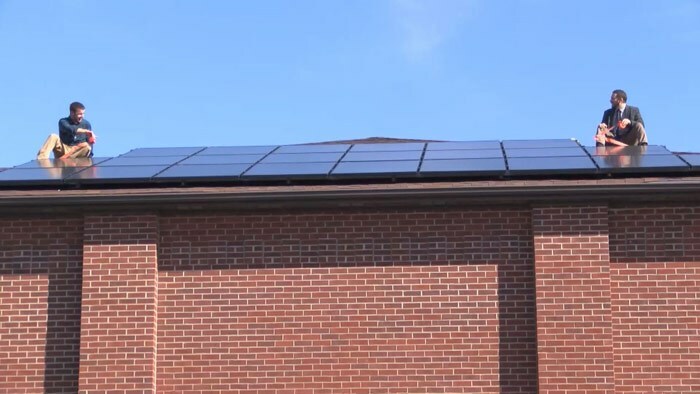 Our congregation is very grateful to the Indiana Office of Energy Development, who provided the grant to help fund this project; to Hoosier Interfaith Power & Light, who applied for the grant on our behalf along with four other congregations in Gary, Merrillville, Indianapolis, and Bloomington; to members who contributed; to our installers at Third Sun Solar; and to leaders with the vision and energy to bring this about. Hoosier IPL structures such grants to maximize their benefits. Among other things, we have committed to several actions to fulfill the grant: we will strive to reduce our electricity and gas usage by 25%; our members will also conserve energy in their homes; we will host some events highlighting energy conservation and renewable energy for our neighbors and neighboring churches. 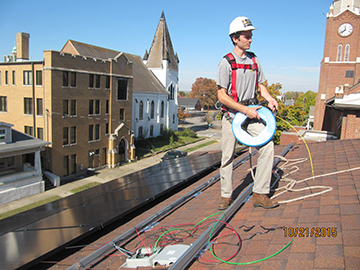 Our first solar forum will take place this Wednesday evening, November 18, with a chili supper at the church (222 Walnut, Jeffersonville, IN) followed by a presentation by Darrell Boggess from SIREN in Bloomington about the benefits of solar energy. My previous post discussed the biblical claim, derived from Genesis, Job, and Psalms, that God made the whole creation to flourish, and loves every being in it. In this post I'll describe the deep relationship scriptural writers draw between violence against humans and violence against the earth. I used to have Hebrew students translate the Cain and Abel story in Genesis 4. A word that Hebrew students encounter more than once in a passage is celebrated as one less word to look up. 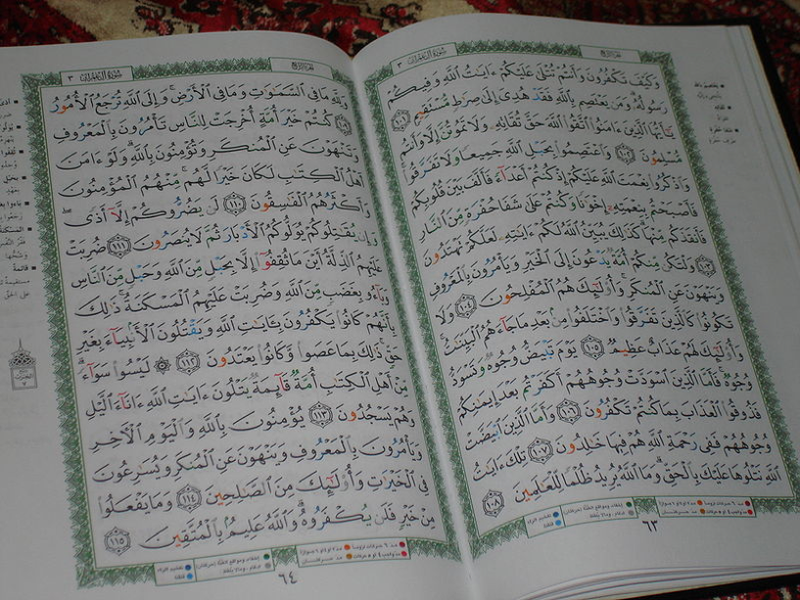 So they would always notice the two words repeated over and over in this story: “brother” akh, appears seven times. And “ground,” adamah, is repeated six times. In addition, the words “field” and “earth” each appear twice. In the past, readers have often paid attention to “brother” (as in, "Am I my brother's keeper?"). 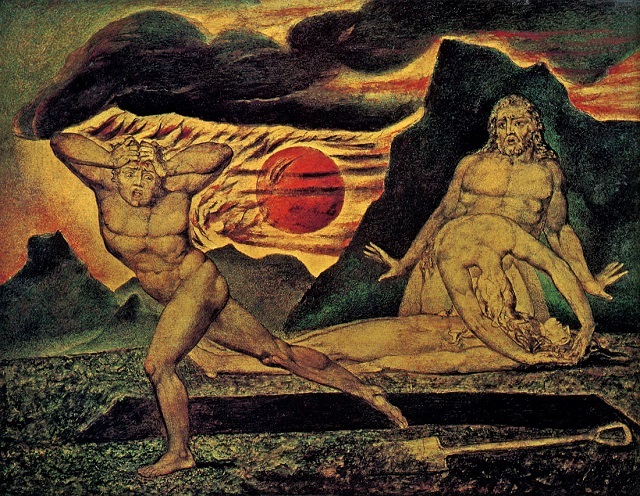 But they haven't often noticed the story’s focus on the land: “Your brother's blood is crying out to me from the ground!” Cain’s violence against his brother, it turns out, also pollutes the land, demonstrating the deep biblical connection between violence against neighbors and ecological violence. 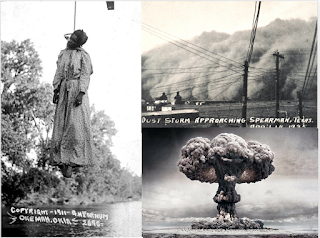 Scripture speaks often about the land being polluted with violence. 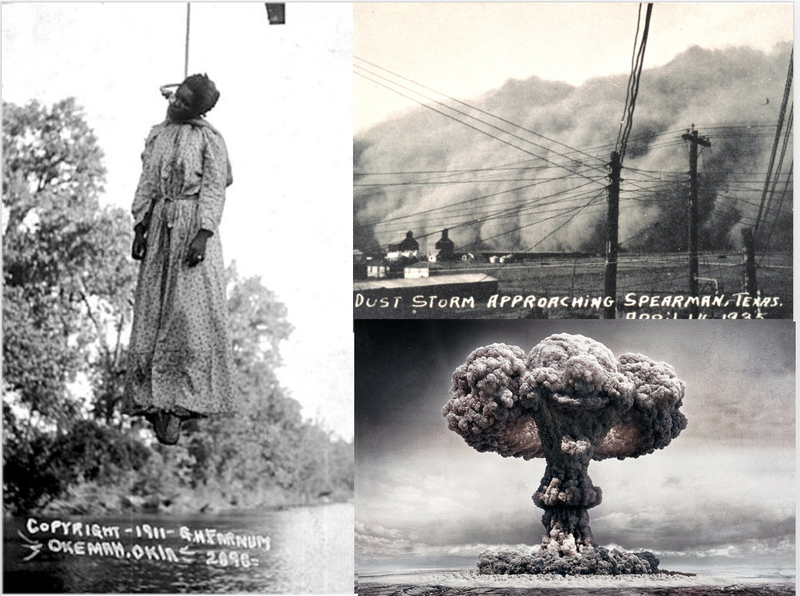 According to Hosea 4:2-3, multiple human violations cause the land to “dry up,” (according to the NIV) or to “mourn” (according to the NRSV) and the creatures to perish. The same Hebrew word means both. People grieve through our voices, and the Hebrew imagines the earth grieving by becoming uninhabitable. Violations against neighbors violates the land itself, and its creatures. Isaiah 5:8-10 likewise connects violence against neighbors with the land’s infertility, saying that people who practice what some might call eminent domain, and others, environmental injustice—taking other’s land and fields to enrich themselves—will end up with nothing, Isaiah warns. Ezekiel 34:17-19 discusses environmental justice directly, describing it as the spoiling of land and water so others can no longer eat or drink. Here, violence done to the land becomes violence also to neighbors. The two are inseparable. So here is a second biblical claim, rooted in the Cain and Abel story, and articulated by prophets: “Violence against humans and violence against nature are inseparable.” Because humans are so closely connected to the earth, we cannot harm one without harming the other. Fortunately, flipping this idea upside down, when we heal or prevent environmental pollution, human health improves. When we heal societies, the earth’s conditions improve. 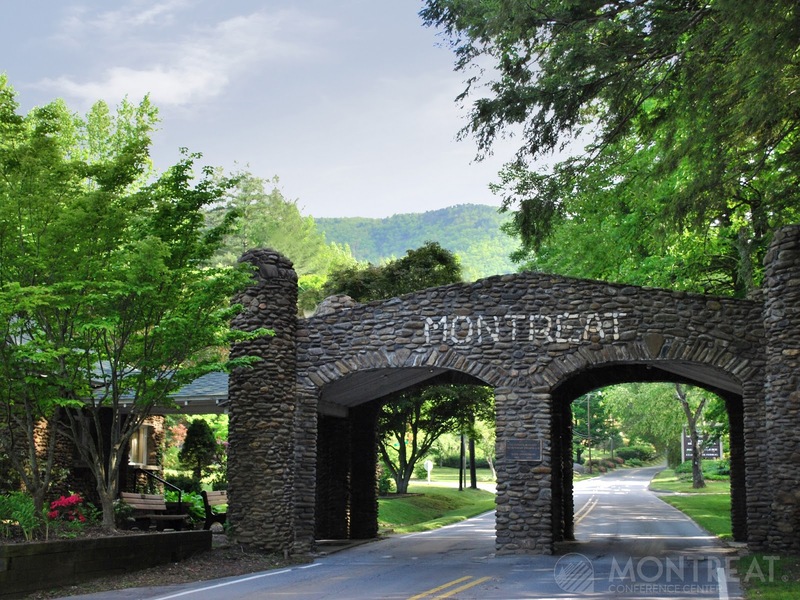 Last month I gave three lectures and two workshops at the biennial Presbyterians for Earth Care conference at Montreat, where 140 dedicated people gathered from all over the U.S. for worship, workshops, learning, and enjoyment of western North Carolina’s exquisite countryside. Since then I’ve spoken nine times in five different cities. The air everywhere is electric with excitement over Pope Francis’s encyclical and his U.S. visit. Catholic environmental advocates are rightly proud and hopeful, but so are Presbyterians, Disciples, Mennonites, Episcopalians, Methodists, Muslims, Jews, and Unitarians. 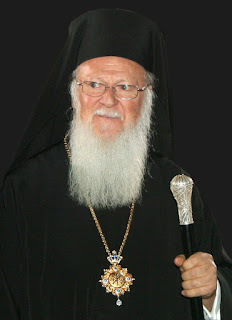 One Protestant said, “Finally, a religious leader in the news whose views I share.” Someone else, commenting on the encyclical, suggested to his pastor that there were six months’ worth of sermon material there. With all this excitement, I’ve once again fallen behind. 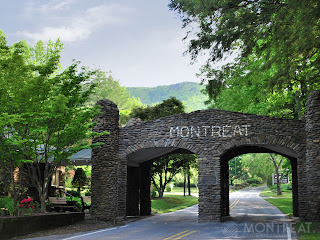 So for the next little while I will offer snippets of my Montreat lectures, just so you have something to read for your pains in visiting this site. 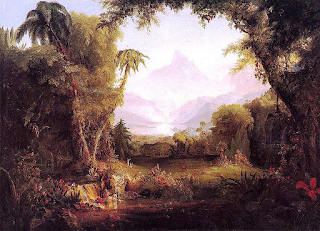 In my first lecture, “Rethinking Scripture, Humans, and Creation,” I expanded on some of the themes I have been discussing since Inhabiting Eden came out, and suggested five biblical claims that may help move us toward a saner relationship with the earth, its inhabitants, and future generations. 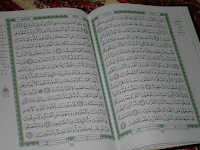 Our ancient forebears’ sensitivity to the natural world is clearly reflected in the scriptures of Christians and Jews, as well as in the Muslim Qur’an and in ancient wisdom from around the world. This makes sense, since preindustrial peoples were far more cognizant than many of us today of our absolute dependence on nature. Scriptural descriptions of nature that modern readers take for metaphor or embellishment, and thus ignore, ought to be read more carefully. We can read the Bible as if its writers really meant it when they said, for instance, “The heavens are telling the glory of God” (Psalm 19:1). Ancient writers of the Hebrew Bible did not seem to view the nonhuman world as a separate category from themselves, “ecology” as opposed to “economy,” as we often hear today, or “nature” as something standing outside of human culture. There was no biblical Hebrew word for “nature” as a category, nor one for “culture.” Rather, humans were conceived as living within the wider world, as part of it. The dominant image that Christians today use to describe our relationship to the wider world is probably not the most helpful biblical image available to us. 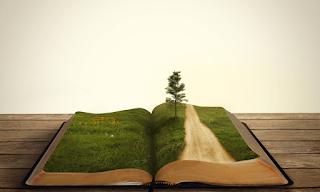 There is a strong tendency now, when reading the Bible’s first chapter, to bypass everything that is said about God’s delight with the many species and elements of the world and to talk almost solely about verses 26-28, “Let us make humankind in our image and let them have dominion.” Sometimes this dominion idea is softened into “stewardship,” but we still tend to forget that stewards aren’t owners. Many people think of the earth’s elements and species as resources provided mostly for our use and profit. This idea has gotten us into a heap of trouble. Genesis 1 emphasizes with great awe and reverence the many dimensions of God’s good creation that came before us—the world’s structures that respond directly to God’s creating command, the plants and animals “of every kind,” the blessing of birds and sea creatures, the common food source given to all animals, including ourselves. In context, not even the command to “have dominion,” or to “rule” implies exploitation. Dominion in God’s image suggests imitating a creator who intends that the earth and its creatures flourish. We cannot be living in God’s image if we are destroying. But immediately after this follows another creation account entirely. It’s is the one we might do well to take to heart for the next millennium or so. Here, as in the first story, it is God alone who makes all things. But this second story offers a very different picture of what it means to be human. Here we aren’t given dominion at all. The account focuses instead on the land—on a garden filled with fruit, the garden of God. 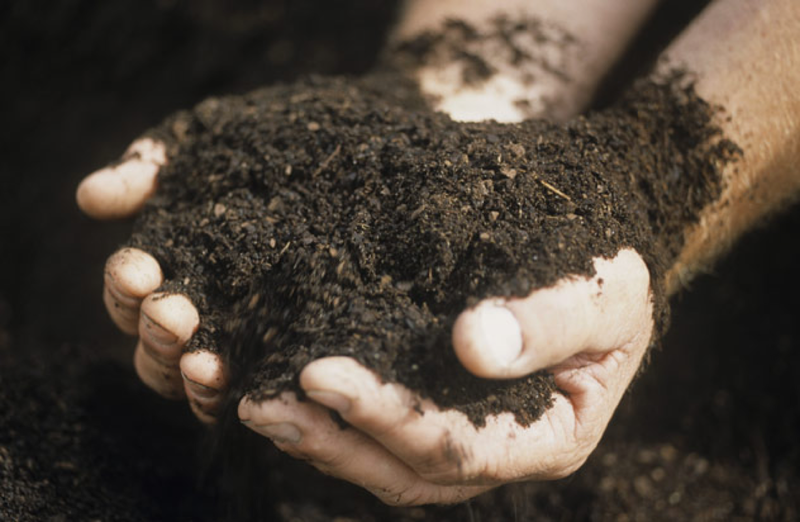 It says God made out of the soil not only the plants, but also the first human being, shaping that human out of dust as a potter would shape a clay figure. In Hebrew, it says that God made the adam—or as we say in English, Adam—God made the adam out of the adamah, the ground. Adam from adamah. We might translate: humans from humus, earthling from earth, or farmer from farmland. “Keep” is accurate enough here, but “till” is not quite right. When it’s intransitive, when it stands without an object, this Hebrew verb can mean “to work” or “to serve.” But when it takes an object, as it does here, its meaning doesn’t become, as in English, “to work it,” that is, “to make it work.” Rather it means to “work for” it, “to serve it,” to serve the Garden of Eden. So God puts the first human in the garden, as many biblical translators are reading today, “to serve and preserve it.” This story pictures the human not as ruler but as caregiver, or tenant farmer. Furthermore, at the end of the flood story in Genesis 9, when God promises Noah never to destroy the earth with a flood because of humans, what is often overlooked is that this first covenant is made not just with the humans but with all creatures. God repeats, not once or twice, but six times, that the covenant is with every species, repeating “the earth” four times, “every living creature” four times, and “all flesh” five times. Not once is the covenant with humans only. Now if you have been to Israel you may have seen a few coneys, or hyraxes. They look like this. They are humble creatures. 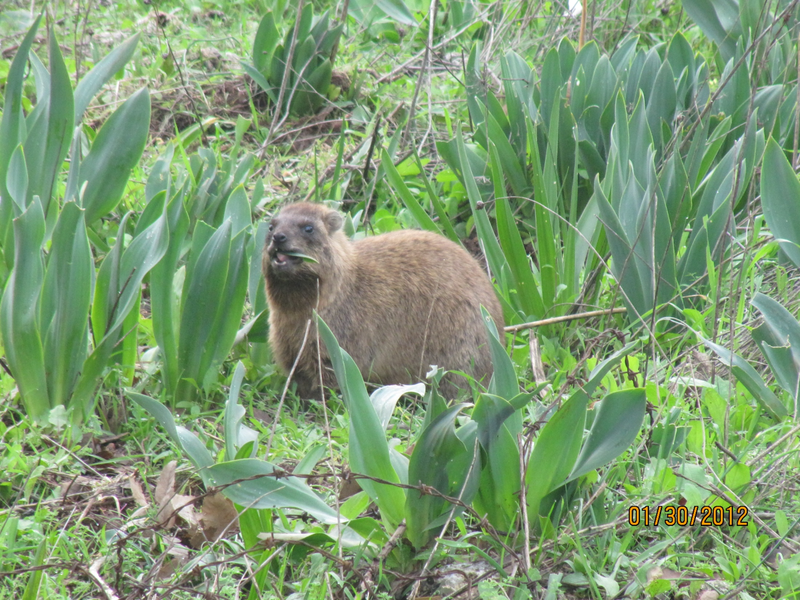 They look pretty much like ground hogs without the bushy tails, but according to Wikipedia, their closest relatives today are elephants. They get their own ecological niche in this psalm. 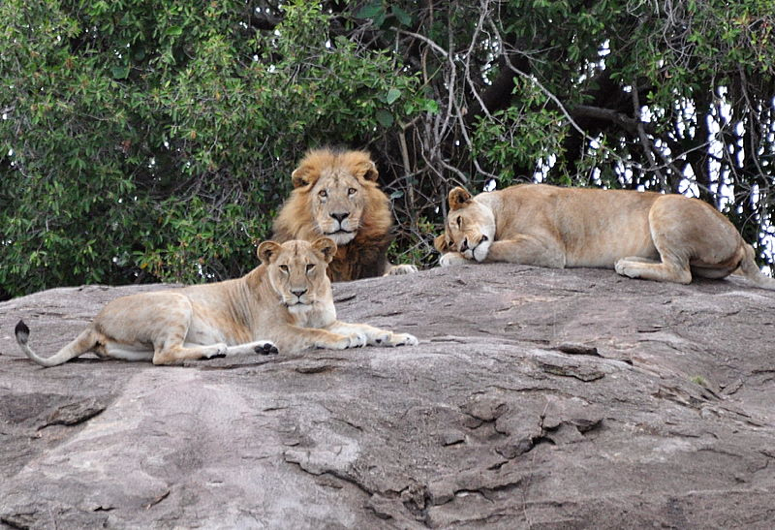 The Psalm goes on to put humans in their place too, in a timeshare with the lions, who roam the same haunts at night that humans do in the day. Nothing in this psalm implies that humans are anything more than one of the many fascinating creatures that share the earth. 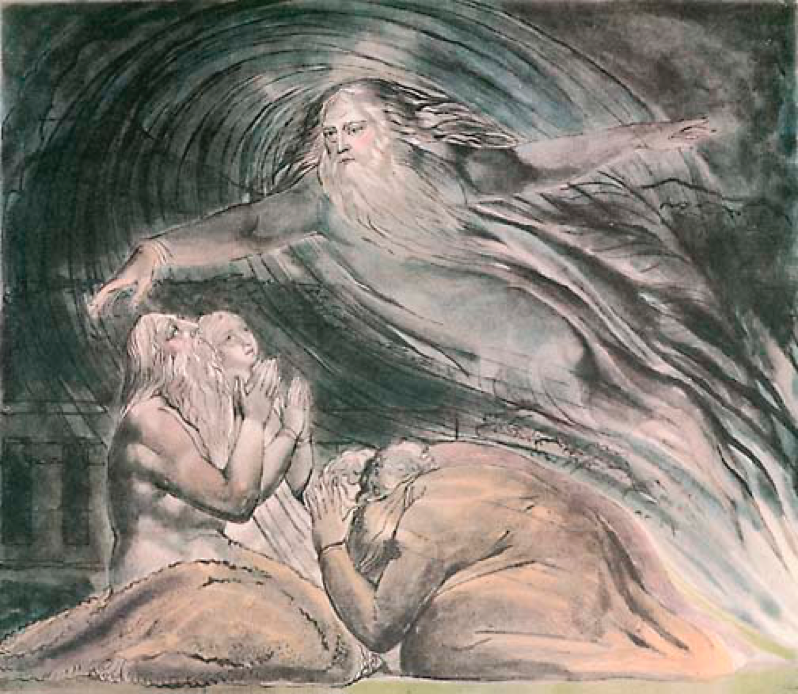 Descriptions of creation in God’s speeches in the book of Job don’t emphasize human superiority or control, but our transience, weakness, inability to comprehend the world. Poor Job can’t claim to know anything about the earth’s expanse, the origin of snow, or how to make rain. He can’t explain the life cycles of mountain goats and deer. According to God’s voice from the whirlwind, even a domesticated horse is too powerful for his command. Other biblical writers likewise imagine us inhabiting a world far more powerful than we, which we can neither understand nor rule. Biblical poetry and narrative announce over and over what scientists keep trying to tell us now—that we are by no means in control. Dominion is, in fact, a minority view in Scripture, occupying four verses in over 30,000. 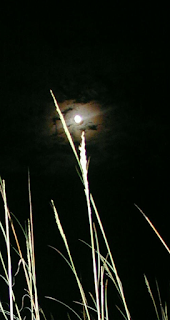 Taken as a whole, Scripture voices reverence toward the natural world. 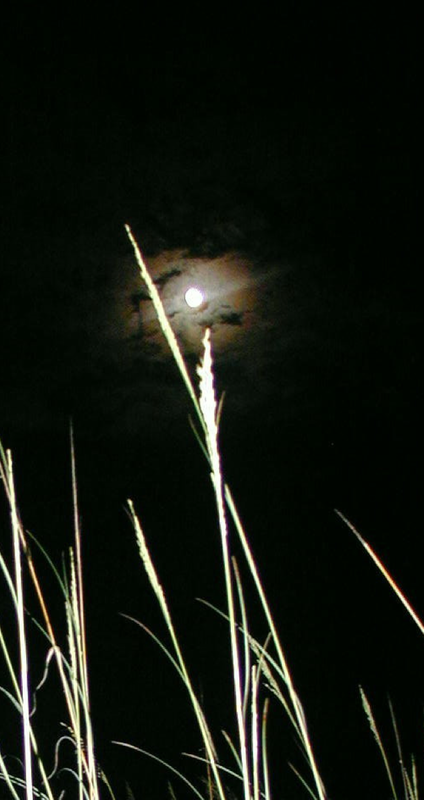 What the Bible has to say about nature isn’t window dressing. God made the whole creation to flourish, and loves every being in it, not just the humans. And far from being masters of the universe, we are in fact absolutely dependent on the ecosystem and its members. 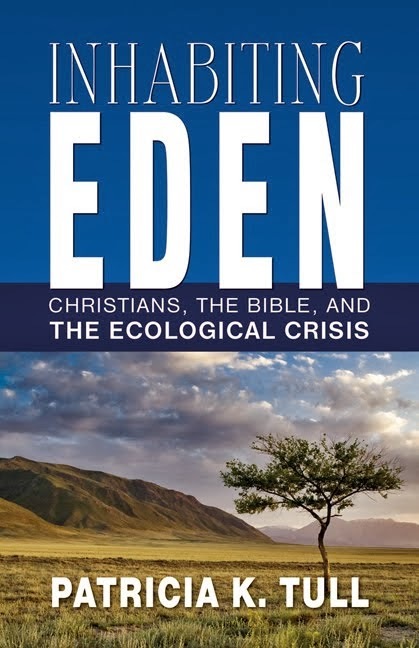 The story of Eden instructs us in tending the earth, but in fact, it’s the earth and its community that is tending us.